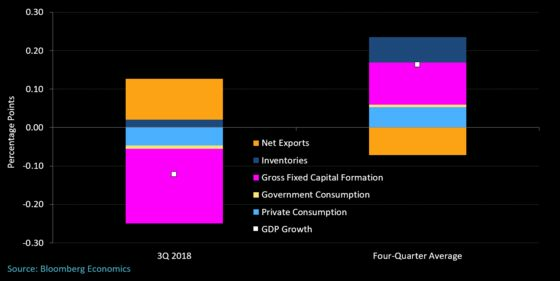 (Bloomberg) -- Prime Minister Giuseppe Conte blamed global trade tensions and their negative trickle-down effects on Italy’s exports for the country’s first recession since 2013. Even “the most naïve analysts” are aware of the tariff dispute between Washington and Beijing and its effect on exports, Conte said Thursday after preliminary data confirmed the slump. He called the recession temporary and added that he expects the government’s measures will lead to a recovery in the second half of 2019. Many analysts expect a return to growth this year in Italy, despite the forecasts of a global slowdown affecting the euro area. David Powell of Bloomberg Economics said the country’s businesses are likely to “resume their normal spending patterns” in the first quarter as the economy expands again. “The difference between actual and potential output is greater in Italy than in any other of the bloc’s largest economies,” Powell added. Fabio Fois, senior European economist at Barclays, wrote in a note that his assumption is “that Italy’s technical recession will not extend into 2019” and that growth will be “flat” in the current quarter before returning to expansion in the spring. 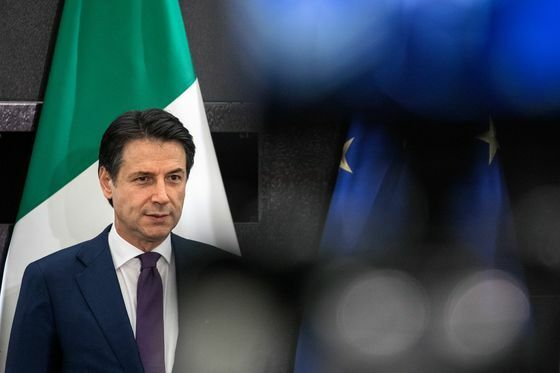 Premier Conte said he doesn’t fear that the European Commission will ask for a budget adjustment to meet Italy’s much-negotiated fiscal targets for this year. A budget adjustment with lower spending could pressure the populist government into curbing some of its expansive plans. Conte’s government has forecast 1 percent growth this year, though the number has been severely challenged by a wide array of economists. The Bank of Italy and the International Monetary Fund have each forecast 0.6 percent annual growth, while a survey conducted by Bloomberg News earlier this month predicted a 0.2 percent growth in the current quarter.